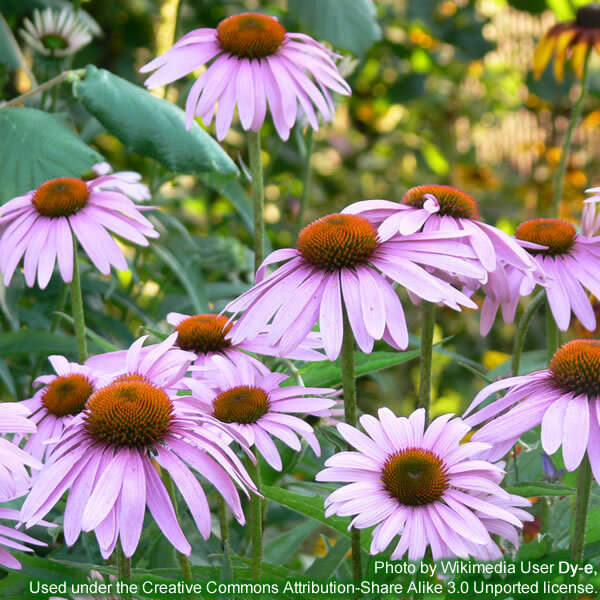 The New England Journal of Medicine [NEJM] has published a letter to the editor from the American Botanical Council (ABC) regarding the low dosage of Echinacea extracts used in a recent clinical trial. That trial employed three extracts of Echinacea angustifolia root to college students with rhinovirus infections. The study was conducted by Ronald B. Turner, MD, a virologist at the University of Virginia, and various co-authors, including Prof. Rudolf Bauer, PhD of the Karl-Franzens University in Graz, Austria (an acknowledged expert on the chemistry and pharmacology of echinacea), and David J Gangemi PhD of Clemson University. The study failed to show any measurable beneficial effect of the three extracts in either preventing infections or lessening the severity or duration of symptoms of the resulting upper respiratory tract infections. The ABC letter suggested that the dosage administered in the trial may have been too low to produce an appreciable benefit. The dosage of 1.5 ml of the extract given 3 times daily was reported to be equivalent to 900 mg per day of the dried root of E. angustifolia. ABC's letter explained that this dose was based on the German Commission E monograph for E. pallida root, not E. angustifolia root. ABC emphasized that both the World Health Organization and the Canadian Natural Health Products Directorate recommend a dosage of 3000 mg per day of dried E. angustifolia root or equivalent preparations, a dose 330 percent higher than the dose in the trial. ABC has previously communicated this message to the media, per its press release in July and numerous interviews.
" Recognizing that there may be a problem with the relatively low dosage is essential in interpreting the results of this study," said ABC's Mark Blumenthal. "We have received comments from numerous experts, including physicians, supporting our view that the dosage used in this trial was either too low, or at least the trial should also have included a higher dose." Blumenthal added that two of the study's authors have publicly acknowledged that a higher dosing regimen would have been helpful in determining whether the echinacea extracts used in this trial might have produced any beneficial trends.
" This is particularly important considering the widespread publicity generated by this trial," he added. The study received significant coverage in the media, including articles from the Associated Press, the Los Angeles Times, the New York Times, the Wall Street Journal, plus television news, websites, etc. Many of these news stories included information from the ABC press release and interviews with ABC emphasizing the potential problem with the low dose. According to its website at the time of publication of this item, the American Botanical Council is the nation's leading nonprofit organization addressing research and educational issues regarding herbs, phytomedicines, and related plant-derived preparations. The 17-year-old organization occupies a 2.5 acre site in Austin, Texas, where it publishes HerbalGram, a peer-reviewed journal. ABC is also the publisher of The ABC Clinical Guide to Herbs, a continuing education and reference book, which contains extensive monographs on the safety and efficacy of 29 popular herbs, including echinacea. News is included to provide information about current issues but not to endorse any particular view, activity or product. Any opinions expressed in this article are not necessarily those of IvyRose Ltd.. At least some of the material on this page was released by the source/s indicated below on or about 1st December 2005.This article has been prepared by IvyRose using information and quotations that may also be from various other sources as well as any further comments, explanations and images credited individually.